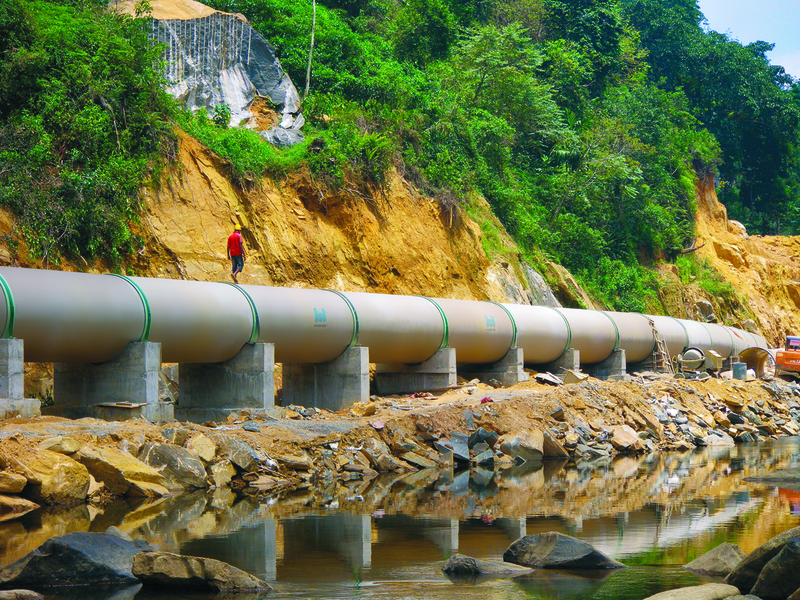 Amiblu develops and produces pipe system solutions from glassfiber reinforced plastics (GRP) for our society’s most essential infrastructure systems. GRP offers an exceptionally long lifetime, which is due to the material’s superior quality and resistance against various strains, stresses, and impacts. 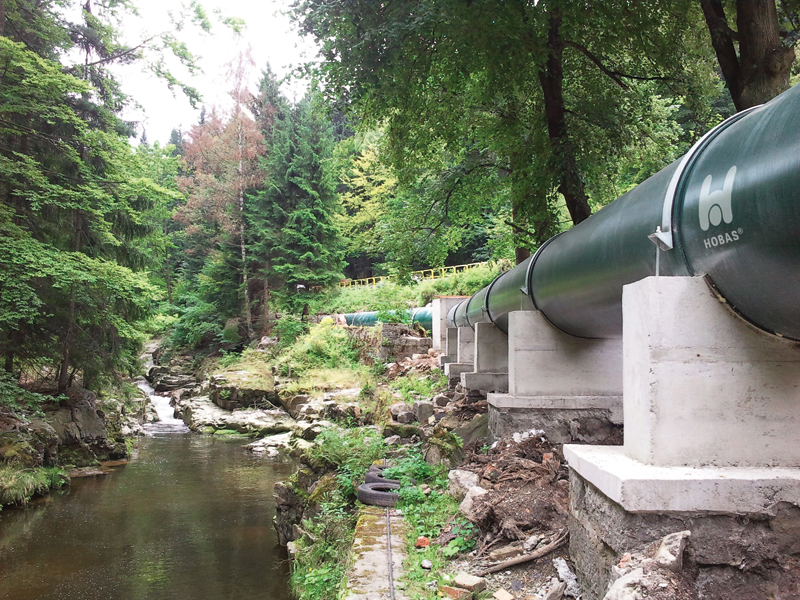 The adaptability of Amiblu products makes them ideal for many vital future investments: The growing challenges with regard to climate change – think of increasing draughts and floodings – as well as aging urban infrastructure, meaning that several old pipe systems need to be renewed or rehabilitated. 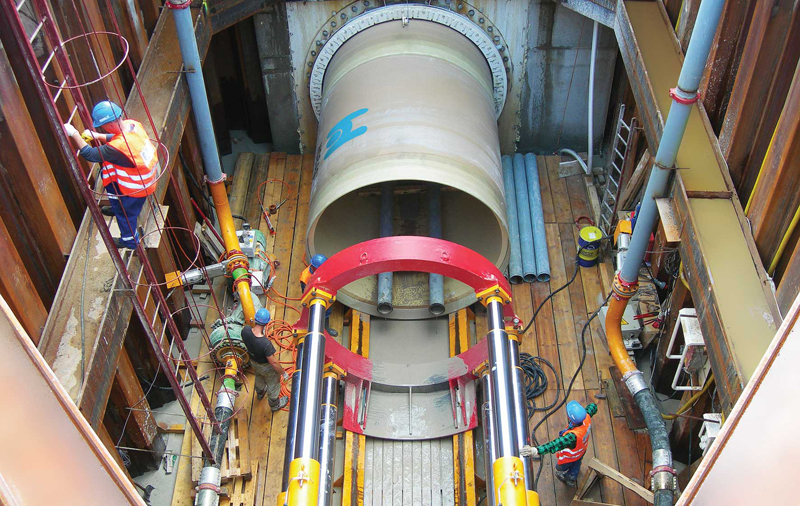 Amiblu GRP pipe systems have the lowest lifetime cost and present the ideal solution for any industry, municipality, and city that faces these challenges. They are reliable solutions for generations. Amiblu produces in six factories, in four countries, with an expert team working in the background at the R & D development centre in Norway. Around 1,500 employees provide professional advice from planning, through production to sales – we realise the importance of customer satisfaction, especially as we transport water in our pipes – and water is precious. The GRP Pipe Systems Business Segment is, under the umbrella of HOBAS Management Holding, separated into two divisions, HOBAS USA and Amiblu Holding. Are there any differences? – Yes, both technically and geographically. GRP pipes are produced in two different ways: they are either spun, in other words chopped glass fibres, synthetic resins and quartz sands are introduced into a rapidly rotating mould; the structure is built-up from outside inwards – the classic HOBAS pipe or they are wound with continuous and chopped glass fibres, synthetic resin and sand around a mandrel; the structure is built-up from inside outwards – the classic Flowtite pipe. Amiblu combines both technologies and is focused on the European market, HOBAS covers North and South America. There are, of course, specialties such as NC tubes (wound), where NC stands for Non-Circular. These are used exclusively in the wastewater sector. Another special field is moulded parts construction: water tanks, pipe connections and other special shapes are custom-wound, laminated or sprayed. The customer has the problem – we have the solution. Our headquarters in the US is in Houston, Texas. It all began over 30 years ago …. 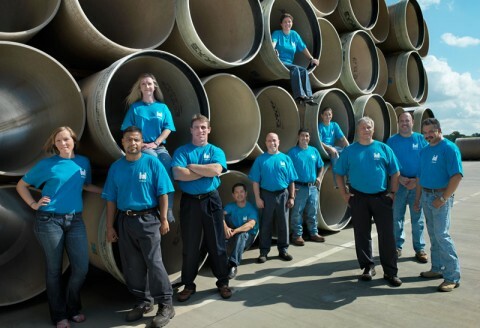 Since our HOBAS plant was erected on the outskirts of Houston (TX, USA) in 1987, HOBAS pipes have been produced using centrifugal technology for over 30 years and are primarily sold in North America. US water suppliers and waste water disposal companies know what they can rely on: top quality products that meet customer expectations and have an exceptionally long product life. In respect of the overall costs, that is, the long lifecycles and low maintenance requirements, HOBAS Pipes are not just one step ahead of the competition but have the further advantage that they can (depending on geology) also be laid without trenches. Especially in densely populated areas, this is a decisive advantage, with minimum inconvenience during the construction / laying phase. In 2017, 70 million Euros worth of pipes left the factory for all parts of the US, Canada, and Hawaii. 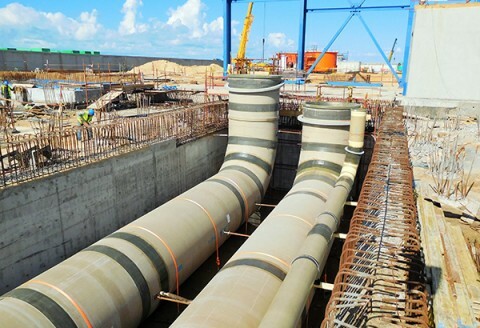 Over the course of 30 years, more than 3,000 kilometres of pipes (wastewater and pressure pipes in various diameters and pressure ratings) were laid. Ongoing climate changes and growing population density demand improved water management to ensure that there are sufficient safe water supplies in the future.